These Apple pencil accessories are very practical, the sleeve can prevent your pencil rolling, 6 Magnets are strong and inlaid within the silicone sleeve so the pencil can stick to the iPad Pro 9.7", 10.5" or 12.9", the soft silicone sleeve will not slip on the pencil, protects your fingers and no more unsightly finger indentions, provide you with a strong grip when you are using your Apple pencil, such as painting, sketching, signing, etc. Note: Sleeve only. 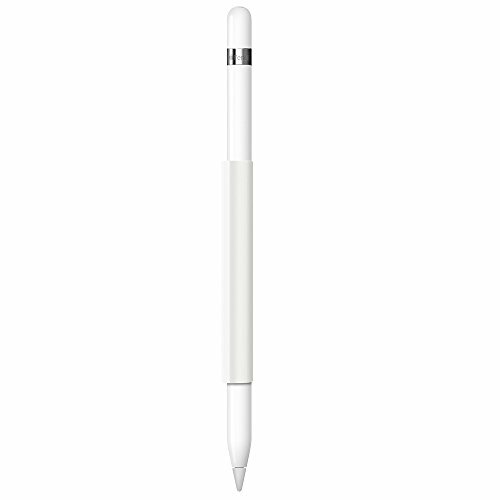 Apple Pencil, iPad are for illustration only and not included. If you have any questions about this product by FRTMA, contact us by completing and submitting the form below. If you are looking for a specif part number, please include it with your message.